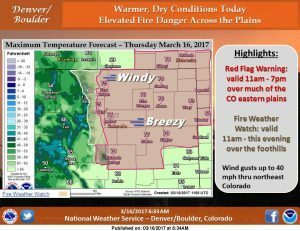 Large Snowstorm Impacts Northeastern U.S.
A new Red Flag Warning has been issued for 11AM through 7PM today for the Palmer Divide region. 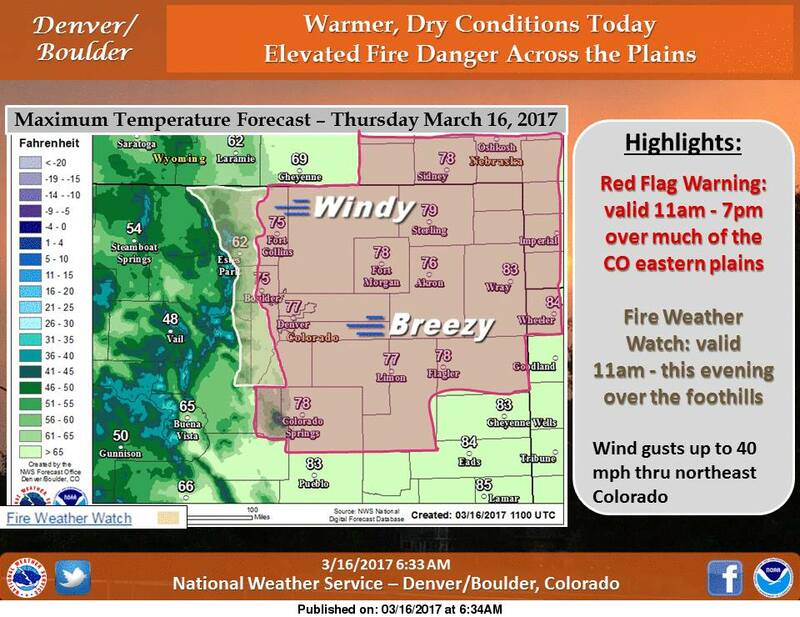 Strong winds developing this afternoon combined with low humidity values will make for extreme fire danger in the region. 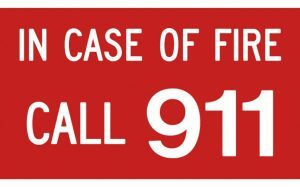 At this point, we’ve had so many of these that everyone knows the drill, but always call 911 right away if you see smoke. 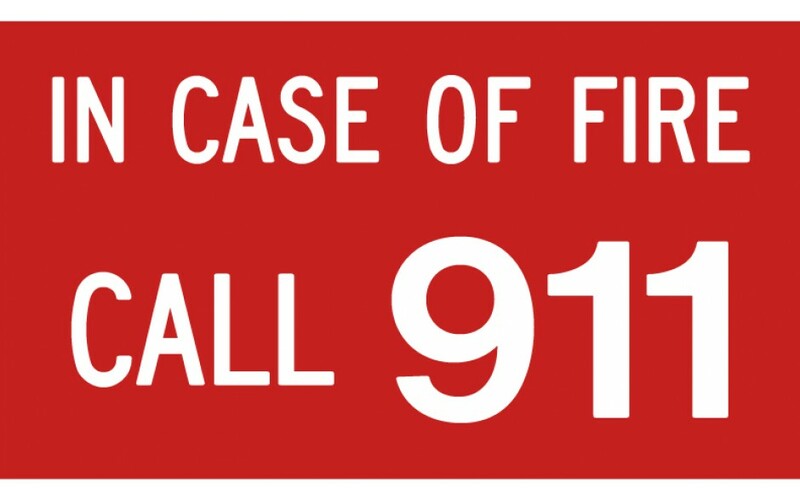 It will be critical for firefighters to get on any developing fire as quickly as possible. Read the Full Details and stay up to date with Castle Rock’s Weather Warnings on our Weather Warnings Page!